Find hotel near Temple Of Ancient Monarch ..
Temple of Ancient Monarchsis located at the 131 Fuchengmennei Street, Xicheng District, Beijing and is a charming temple in the destination. The magnificence of the temple will leave you astounded and so visiting it is a good idea. Other than that the temple also has much historic significance in the city. 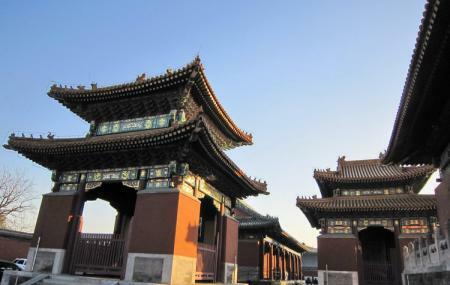 Built in 1530 the temple was constructed in the ninth year of Emperor Jiajing’s reign in the Ming Dynasty. The temple has been well preserved and basically maintains its appearance most of the original architecture. Also, visit the popular attractions in the city by following Beijing itinerary 7 days. Take a bus from White Pagoda Temple. Take the subway from Xisi.